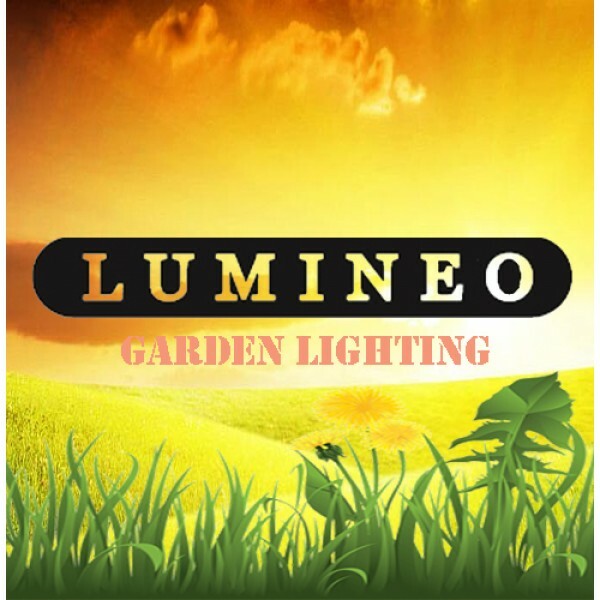 Lumineo provide a simply wonderful, versatile and value for money range of Garden Lighting products that provide Cool White LED lighting to light up your garden, patio, driveway or pathway. 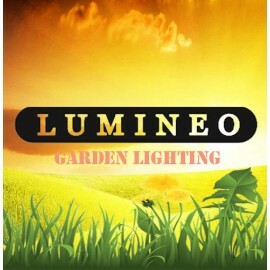 Unlike many cheap solar powered lights which provide a very basic light effect and can often fade in time, the Lumineo range are low voltage via a mains powered transformer and provide a long lasting brilliant lighting effect that is desirable and noticeable from the point you first turn on the lights. The Lumineo range is often used by professional landscape lighting artists to add that special touch and desirable light effect. It is recommened that you design the layout of your lights before you make a purchase to provide the number of transformers, lighting collums, extension cables etc that you will require for your design. 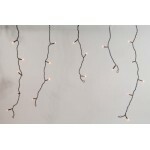 To connect the lighting colums together you will require a "T" Junction extension Cable that can be attached directly to the 12v Transformer when a short distance from the power source is involved or to plug in to an extension cable for longer distances. The lighting collums (Pillars) are available in 4 options and simply plug in to the "T" Junction extension cables. The lights can be fixed in location either by using a metal ground spike for the Lumineo lighting range (additional Special Order Purchase) or by using the screws included with light pillar for the holes at the base of the post to attach to stone, cemment or concrete. 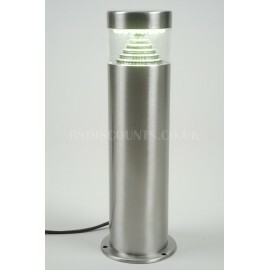 Finished in brushed stainless steel with clear plastic top variations and are IP rated for outdoor use. Each mains connector is watertight to prevent water ingress.